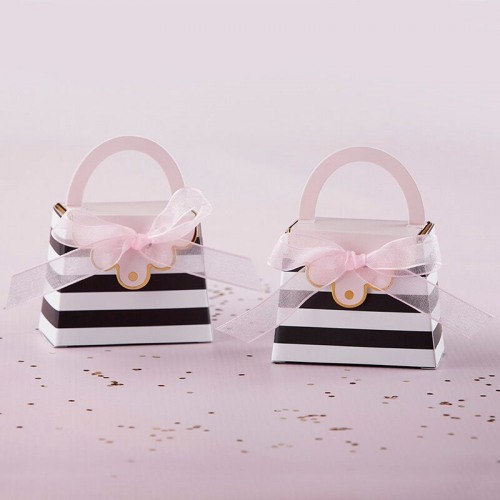 The Purse Favor Box is a stylish way to treasure your guests with treats. The favor box has a unique clutch shape and a striped pattern with accents of light pink. Perfect for a Perisian themed bridal shower, baby shower or birthday party.